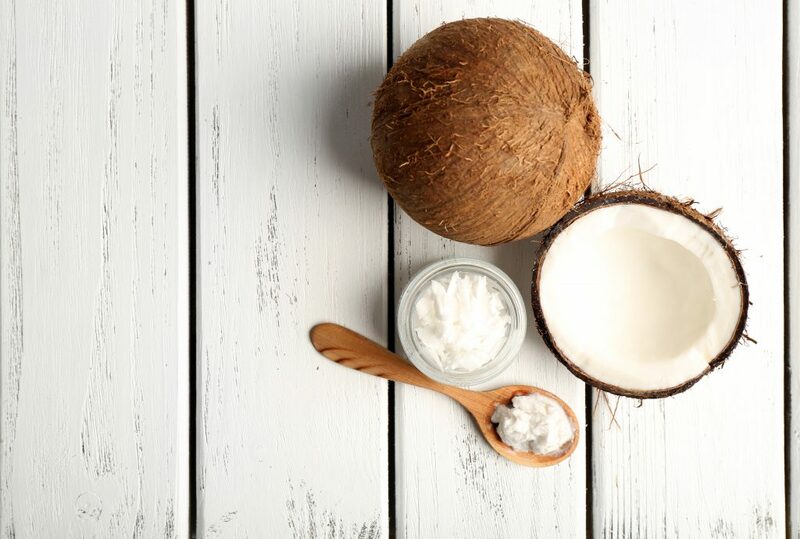 Coconut oil has a reputation for being a multi-functional superfood. This highly versatile oil is rich in MCFA’s (medium chain fatty acids), which support heart, brain, immune and metabolic health. It has been compared to breast milk in its ability to improve immune function, because it contains lauric acid and an array of vitamins and other nutrients. Make sure that it is extra virgin to get all of these benefits. For the full health and immune-boosting effects, add a tablespoon or more into your daily diet. Coconut oil also has many external uses. The following list has 22 different healthy ways you can use it inside and out, including some that you may never have thought of before! 1. Add it to smoothies: Adding coconut oil to a daily, nutrition-packed smoothie is perhaps the easiest way to get in your daily dose! It can also add some additional creaminess and a bit of flavor. It will make you feel great all day! 2. 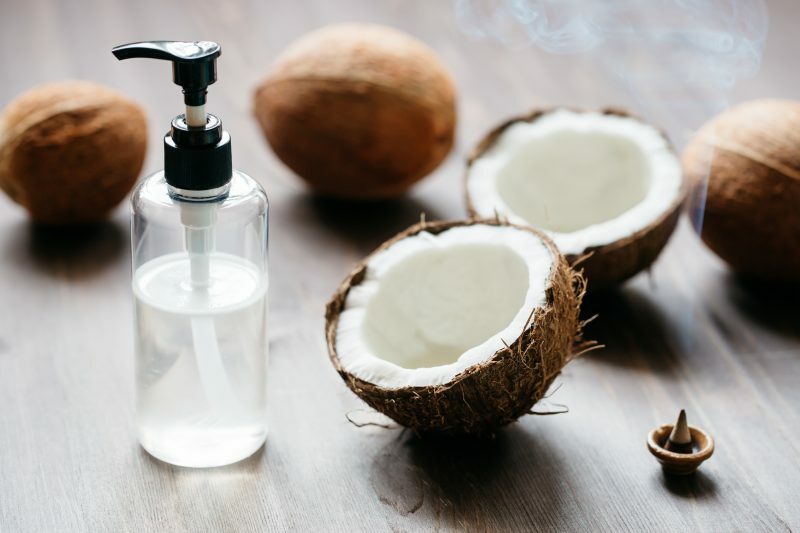 Use it to increase energy: Going right along with the last idea, coconut oil has energy-boosting effects, because the fatty acids in it are easily burned and utilized by the muscles for energy. 3. Use it to build muscle: Because coconut oil it so well utilized for energy by and for muscle tissues, many professional athletes and bodybuilders use it before and after their workouts to increase energy, stamina and muscle mass. Because it also has anti-inflammatory properties, it can help with post-workout recovery as well. 4. Use it to burn fat: Your body actually needs plenty of healthy fats in order to burn fat. So in addition to the reasons just listed, eating coconut oil will help you get and stay slim. It’s especially good at burning belly fat. 5. Use it as an antibiotic: Coconut oil has been proven as a powerful treatment against viruses such as the cold, flu, measles, hepatitis C, and so much more. 6. Cook with it: Coconut oil is one of the best oils you can cook with, since it’s high content in saturated fat makes it heat resistant and able to retain most of it’s health benefits. Veggies baked or sautéed in a little coconut oil are delicious. 7. Bake with it: This oil also works amazing for baked goods. Any recipe that calls for any other kind of oil, lard, Crisco or butter, can usually be replaced by coconut oil. 8. Use it to benefit your brain: The MCFA’s and saturated fat in coconut oil does miraculous things to heal and protect your brain. Research is showing evidence that it may even be an effective treatment for many Alzheimer’s patients. 9. Use it as an anti-fungal: In addition to antiviral and antimicrobial properties, coconut oil has anti-fungal abilities as well. To use it on toenail fungus, first file toenails and soak them in vinegar water for 10-15 minutes. Then apply tea tree oil to the toenails, followed by coconut oil to the nails and entire feet. Wrap feet in clear plastic wrap and wear socks over during the day or at night while you’re sleeping. 10. Use it to help heal acne: The vitamins and anti-viral/microbial benefits of coconut oil are also amazing for healing acne. Take it internally and use it externally. For best results, first use a cleanser with glycolic acid, then apply a vitamin C serum and finally massage in a small amount of both coconut and lavender oils. 11. Use it to help heal eczema: The previously mentioned properties, along with the fatty acids in coconut oil are also incredibly healing for eczema. For best results, in addition to daily taking it internally, apply it externally after soaking in an oatmeal bath. 12. Use it on diaper rash: It’s amazingly soothing and healing treatment to cure your baby’s diaper rash. 13. Use it to make your hair thick and strong: The antibacterial, hydrating and nourishing effects of coconut oil are great for your scalp and hair. A weekly mask of 2 tablespoons of coconut oil mixed with 1 egg, massaged into your hair/scalp and left on for at least 20 minutes, will do wonders for both. 14. Spread it on toast: Mix it with honey, or garlic and herbs for a super yummy and healthy spread for toast or crackers! 15. Mix it in your oatmeal: Another awesome and tasty way to incorporate coconut oil into your breakfast is mixing it into your oatmeal, along with some chia seeds, nuts and fruit! 16. Use it as a base to mix with essential oils: If you like using essential oils, blend them with coconut oil as your base! 17. Make delicious desserts with it: You can mix coconut oil with coconut butter, honey and cacao powder to dip strawberries and other fruit in, or to make homemade chocolates! 18. Use it for oil pulling: Swishing coconut oil in your mouth for 20 minutes every morning has great health benefits including pulling out toxins from the body and benefiting the teeth and gums. 19. Save money on expensive body and face scrubs: Create your own by mixing coconut oil, salt and sugar (and a few drops of essential oil if you want). 20. Use it as a nourishing lip balm: Just like the homemade exfoliator, you can make your own lip balm just by using plain coconut oil, or by mixing it with other oils and/or coconut butter. 21. Use it as a makeup remover: Coconut oil works great as a gentle and cleansing makeup remover. 22. Use it to minimize wrinkles and sun damage: Coconut oil’s vitamins, fatty acids and other properties make it very anti-aging if used daily (especially with a similar protocol as described above for acne). It makes a wonderful eye cream if mixed with other nourishing oils like jojoba oil.